Trump Voter: I Was An Idiot To Vote For Him!! 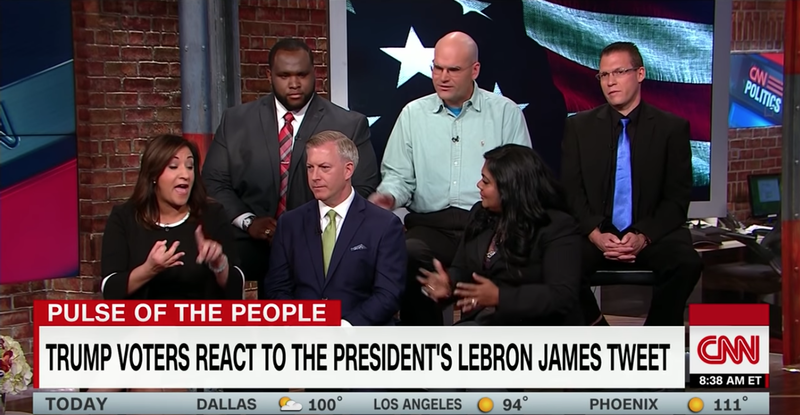 In a very contentious CNN focus group, Trump voters clashed with each other's opinions of Trump. Some very regretful for their support were arguing with those who still passionately defended the President. Things got very heated when one voter said we have a lot of idiots who voted for him, including myself at one time. The panel was an even split of backers and critics, and Arthur Schaper started things off by lauding Trump’s performance in office so far. These plaudits were countered by Jeremy Montanez, who called Trump a bigoted “monster” while slamming the White House’s separation of migrant families at the southern border. The panel ended up holding a conversation about illegal immigration and migrant parents who had their children taken away even though they tried crossing the border through the proper legal channels. This segued into a debate about whether Trump is responsible for the increasing levels of divisiveness around the country.